If we owned the World and all Powers and Gifts of the Spirit but lack Love we are nothing. This is one of the major definitive works ever written. Described as one of the finest studies in personal power, metaphysics, and prosperity consciousness that is in existence. Charles F Haanel uses Metaphysical Principals to empower the Individual. The Master Key System is a best selling book by Charles F. Haanel that was written in the early 1900s which sold over 200 thousand copies by 1933. It originally had 24 parts to the book. The book is devoted to mind development and achieving your life's dreams using applied metaphysics. Scientific Metaphysics is information, into the nature of Reality and the Science of Human Beings and their Connection to Divinity. The Metaphysical Institute reveals and supplies information on both the physical and spiritual aspects and the fundamental nature of Humans. Metaphysical Institute has developed the unique Human Energy Assessment Release Treatments, the HEART Energy Healing System,R a simple, more universal Energy Healing Paradigm; by communicating directly to the Super-Consciousness or Spiritual using the Delta State. This complete holistic healing of Body, Mind and Soul is invoked by intent, it includes advanced healing techniques to remove unwanted external disturbances, both from Earth and those from beyond our Solar System, before applying specific internal healing methodologies to remove and balance our own mental physical and spiritual blocks. The HEART Energy Healing System is simple in its philosophy, that is to remove all external disturbances from your physical body, mental body, emotional body and spiritual body energy structures, prior to assessing your own disturbances that are caused as you live your life as a physical being. Our own internal problems relate to all our physical existences and can also be affected by our biological lines of our mother and father in addition to our own Soul. Over the years with increased knowledge, by treating thousands of patients, the extent of external disturbances has surprised us. Not only are these disturbances related to the individual person being treated but may also be compounded by those still present in their biological lineages of their parents. For patients once these external disturbances are removed they become their true selves, they get an inner peace and tranquillity, and renewed health, often for the first time in years. Then as their own Internal Issues are addressed dramatic changes happen to their life and ability to pursue their renewed life paths. They emerge with new perspectives and horizons and an inner peace. This concept relates to how we form our own personal experiences in this life, our own personal reality and the guidance we accept. The Metaphysical Institute enhances your understanding and discovery of yourself. This new dimension that occurs within you as you become aware of and study Metaphysics, helps you to emerge as the main control in your life; revealing your Souls divinity and humanity; and shows that consciousness reveals all that exists and all that seems to exist. The Mission and Purpose of the Metaphysical Institute is to give information on metaphysics that can benefit Mankind and our World as we all Evolve; by informing and leading You to the Secrets of Life and the Universe. To increase your knowledge of Human Energy Fields an essential part of all Life and reveal the dual role, they play in our Human and Spiritual Life. The truth about Ghosts, and Spirits. Information to guide Your Path to Spiritual Enlightenment and the Glorious wonders of The Universe. As we evolve our recall; of our true being and purpose develops; allowing us access, to all the knowledge of the Universe. As Founder of the Metaphysical Institute I have been guided by The Source (God, Allah, Buddha, Universal Intelligence, or whoever you refer to as The Divine Source) which is a humbling and privileged experience. This connection has been possible by utilizing the low frequency Delta State during communications. To get started we recommend you first go to the Secrets of Life section and then to Human Energy Fields section Spirits and Ghosts and proceed in the order Presented. Questions may be answered here. The gift of HEART Energy Healing System, Human Energy Assessment Release Treatments R and being able to read Life Energy Fields; to be able to find out the Universal Truths; using proven Kinesiology methods; of asking questions and receiving "Yes" or "No" answers from The Source; is another humbling responsibility. The consequences of this privilege, allows me to share with you the insights to many of life's mysteries. Who are we? Where do we come from? What is our purpose? What happens when we die? What causes ill health? Simple methods to heal our disturbed Human and Life Energy Fields and more often called Energy Medicine. The Metaphysical Institute firstly gives you knowledge and understanding of how we humans are divine and spiritual beings in a physical body. Secondly we give you HEART, Human Energy Assessment Release Treatment Systems R simple methods of Healing the body and mind and Soul as well as removing mental blocks holding you back. Thirdly we give you The Master Key System to develop the method of thinking and more importantly the exercises to develop your thinking so you can create and complete your chosen Destiny. As more is being revealed we are revealing it to you, The Searchers, those Souls who are Recalling and Evolving. To keep up to date please Subscribe and receive a Free Gift, we will inform you of updates and new information. You Privacy will be respected and you can unsubscribe at any time. All Metaphysical Institute links and references have been checked as primarily correct, although small details and interpretation may differ slightly to our view. Each of you can go inside yourselves to verify all information. Essentially you will get your answers from your intuition, which comes from Your Own Spirit Guide. The revelations on these pages will most likely challenge while informing you. A few years ago, I'm sure I would have been dismissive and sceptical, so that's OK .As a friend of mine used to say, "Take in what you can and store the rest away, awaiting further light." The Metaphysical Institute is not receiving and is not looking to profit from any recommended materials or Internet Links. No affiliate programs will be promoted from this website. Much HEART Energy Healing R Human Energy Assessment Release Treatments and Teaching has been done, free of charge, as Teaching, Information and Awareness, not profit, is our main purpose and motivation. Destiny & Life Coaching another intuitive , Human Energy Assessment Release Treatments R unique and individual Metaphysical Institute HEART System Programs that work by the assessing your Aura, and Spiritual Destiny, to understand and guide you to your chosen Destiny. The bonus is these programs include HEART Energy Healing of the Body, Mind and Soul as our coaching guides you to your enlightenment. Rapid Cure for Dyslexia and Phobias. This uses HEART Energy Healing System , Human Energy Assessment Release Treatments R described above to give very rapid cure to these specific problems that affect many people; cured generally with one Healing Session see New Services heading. Spirit, Ghost & Angel Removal & Healing Unique Metaphysical Institute programs using another HEART, Human Energy Assessment Release Treatments System R to achieve permanent removal of any Spiritual Entities that affect people or inhabit specific locations. Accredited Medical Research is currently being evaluated and planned in mainstream Accredited Research Facilities. Metaphysical Institute would like to hear from others involved in this or like research and contribute to or become involved to further this aim of more and effective Scientific research. 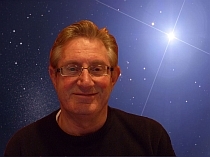 With new instruments and equipment such as Gas Discharge Visualization GDV Camera and new software from people like Dr Korotkov we can begin to see real time changes in Auras as they are healed. The Research Project could include these studies together with less conventional Kinesiology and Aura Readers, to prove the enormous benefit of Human Energy Field healing. This research will be the first step to introduce Human Energy Healing to more mainstream Medical treatments enabling a reduction in costs and more effective and rapid healing. With one of the major benefits being prevention; as virtually all medical problems and diseases show up in the Energy Fields and can be cured before the physical problem is manifested. Donations to help fund this research are welcome. Some of this information may be difficult to believe, please study it and ask yourself: Does part of me know this is the way of creation? The views expressed are based on asking questions of The Source (God, Allah, Buddha or whoever you refer to as The Divine Source). Not from studying, or reading all the available literature. On many occasions I was guided to literature, which was then verified for its correctness. These views may differ from other sources and are best checked by each reader or student, by going deep inside themselves. What do you see in this picture? Nine Dolphins or something else ............ How does your mind work?